A back injury slowed Maxim Zagrebelny last year, but he’s well again. 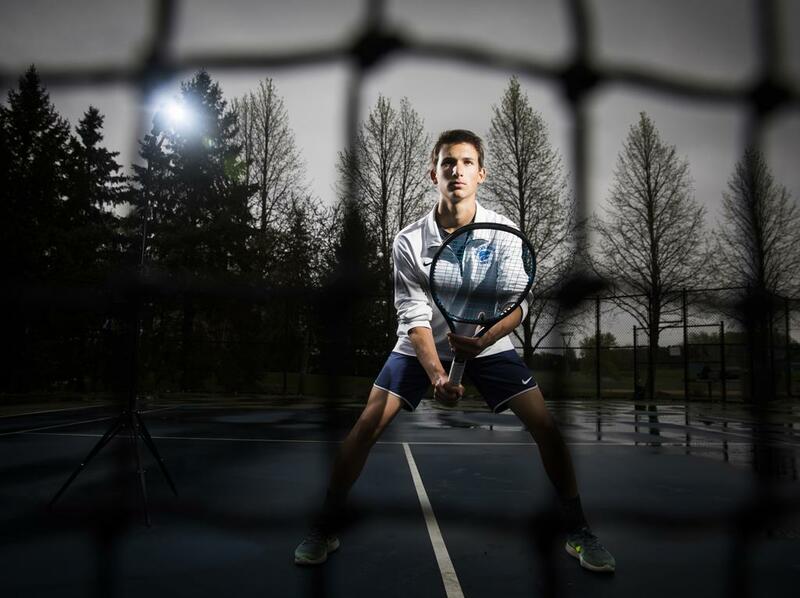 As a sophomore, Maxim Zagrebelny had put together a strong campaign of tennis until he ran into a problem — he was playing too often. Zagrebelny suffered a stress fracture in his back, one he first experienced playing for Eagan in the section tournament last June. It is an overuse injury caused by playing tennis. He moved on to the state tournament and tried to fight through the injury. Eventually, he won his quarterfinal match at state, but he could barely warm up for the next match. Zagrebelny had to forfeit in the state semifinals because of the injury. This season Zagrebelny, now a junior, has been injury-free and playing in the No. 1 singles spot for the Wildcats. He looks for different results in this season’s state tournament, hoping to stay healthier. To do so, Zagrebelny has been emphasizing stretching more this year. He went through physical therapy after last season. The stress fracture also forced him to take a break from tennis for about a month. Zagrebelny’s mother, Helena Stadniychuk, said she worried about her son experiencing long-term pain. This season Zagrebelny, who is 14-0 this season, was ranked as the second-best tennis player in Minnesota as of May 6, according to the Minnesota Tennis Coaches Association. Rochester Mayo’s Sebastian Vile was ranked No. 1. The winner in Class 2A singles last season, Ben van der Sman, advanced to the finals after Zagrebelny’s forfeit and defeated Vile in the championship match. However, van der Sman was a senior last year, so Zagrebelny and Vile have been battling for the top spot in the state. Teammate Benjamin Schriner said he knew Zagrebelny could be one of the better players in the state after watching him in a match last year in a losing effort against Lakeville South. Zagrebelny is one of two captains. He is one of five juniors in a group that Wildcats coach Jordon Stevens said is the most tight-knit on the team. “They’re vibrant, they’re energetic, they’re exactly what 11th-graders are,” Stevens said. Before practice on Monday, players on the team stayed in their cars and listened to music together before going up to the tennis courts near Eagan High School. Members of the team occasionally go to Raising Cane’s or Chick-fil-A after matches. Whatever Eagan has been doing has worked. The Wildcats held a 10-4 record heading into the final regular-season match on Friday against Hastings. Postseason competition starts this week.